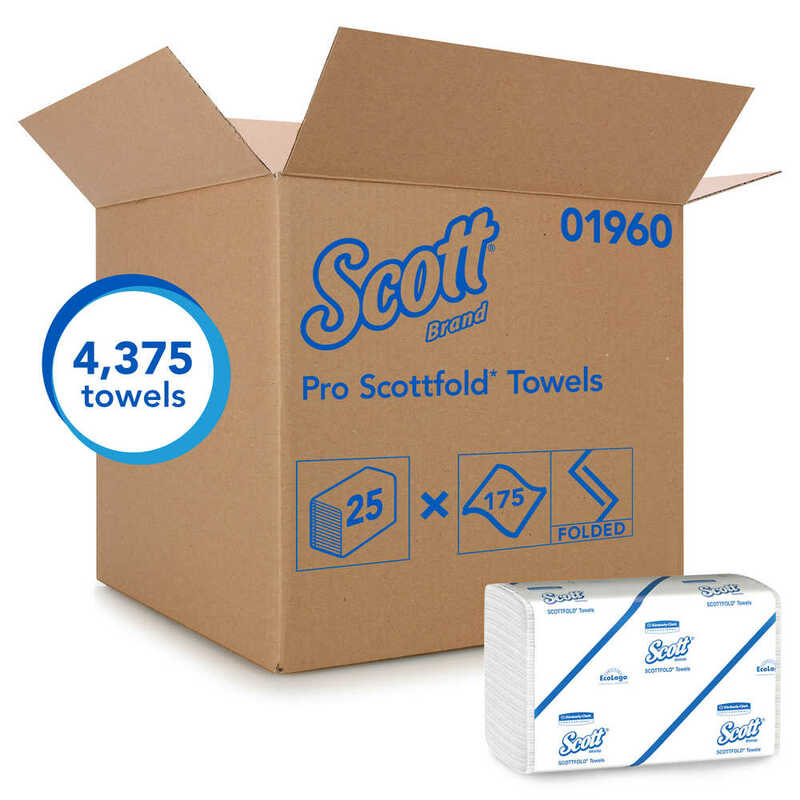 7.8" x 12.4" 9.4" x 12.4"
Scott Pro provides state of the art solutions to maximize productivity. 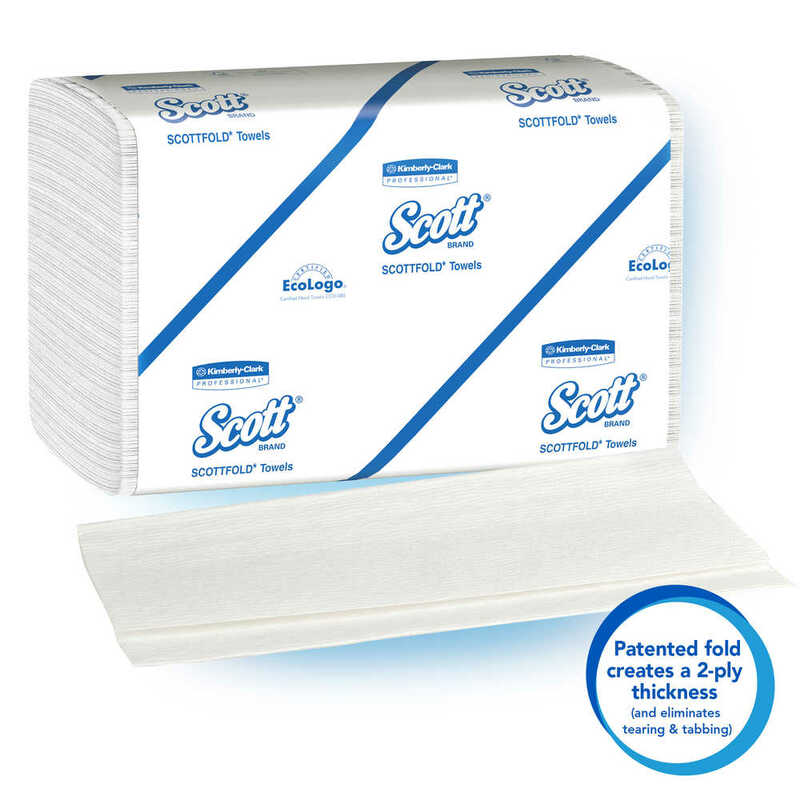 Make wasted paper towels a thing of the past with Scott Pro Scottfold Paper Towels. Their unique fold is designed for true one-at-a-time dispensing, every time. They reduce tabbing, tearing and multiple dispensing, which results in less waste – which is always good for your business' bottom line. 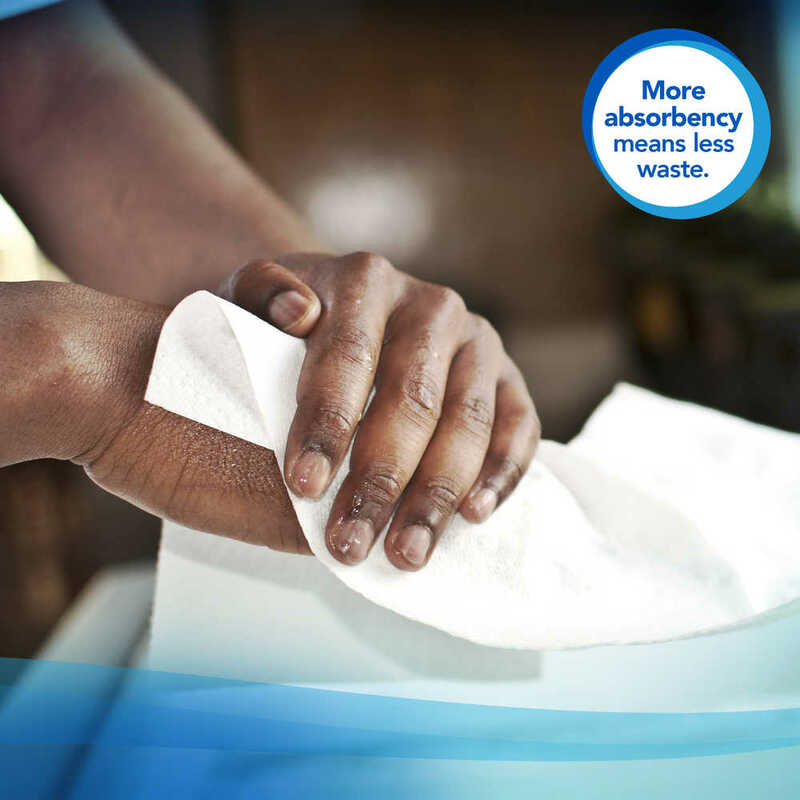 Plus, since they unfold slightly as they dispense, so your guests will know that they're big enough to get the drying job done – with just one commercial paper towel. 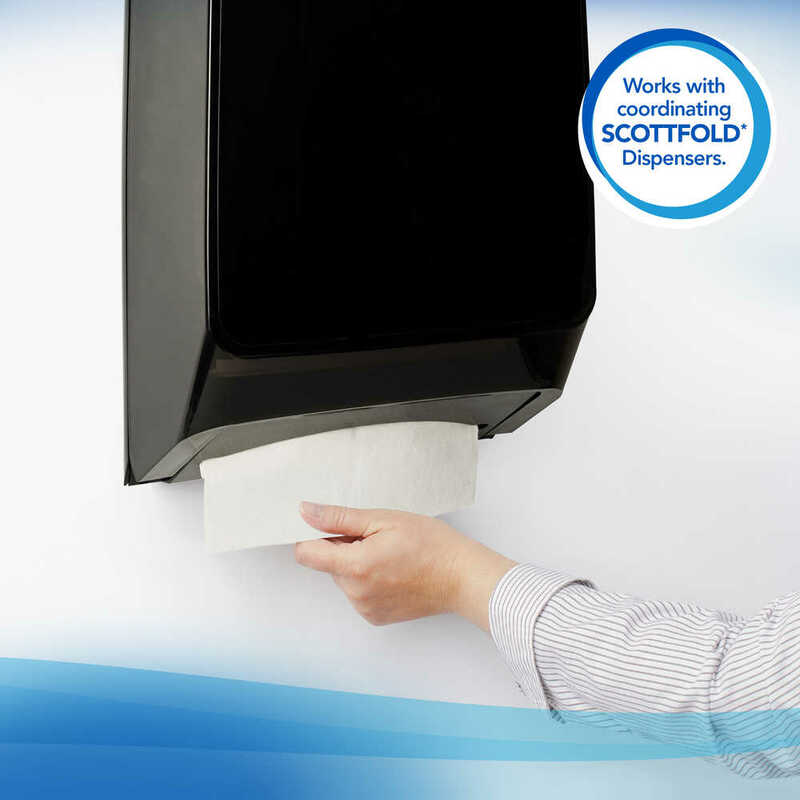 Scott Pro Scottfold Bulk Paper Towels feature Absorbency Pockets with fast-drying ridges for excellent absorbency and hand drying performance. These smartly designed paper towels fit with most universal folded towel dispensers. 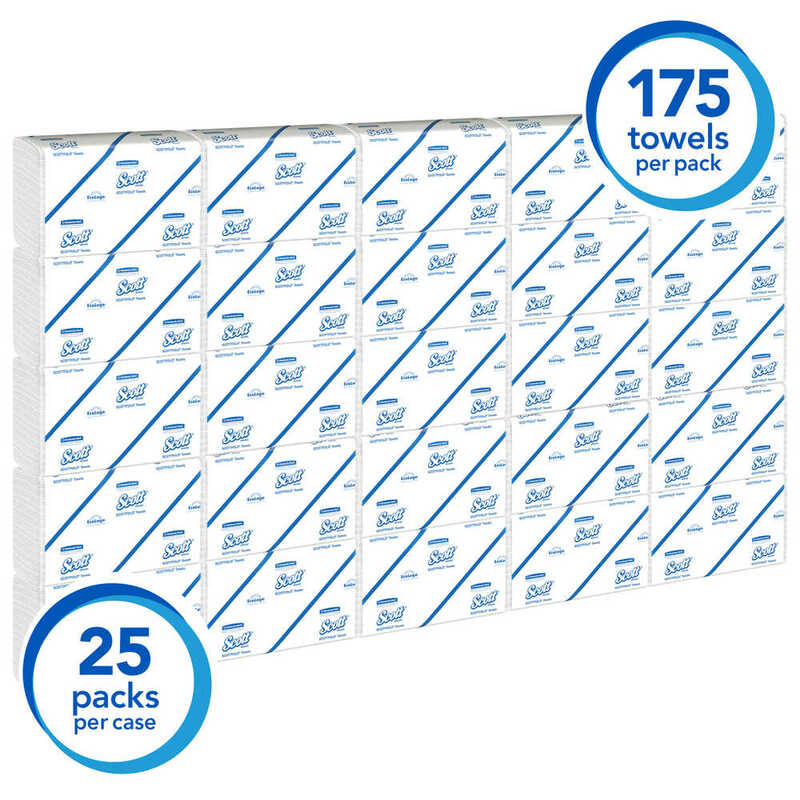 They are an excellent value, with a guarantee of a 0% increase to cost (versus MFT towels). 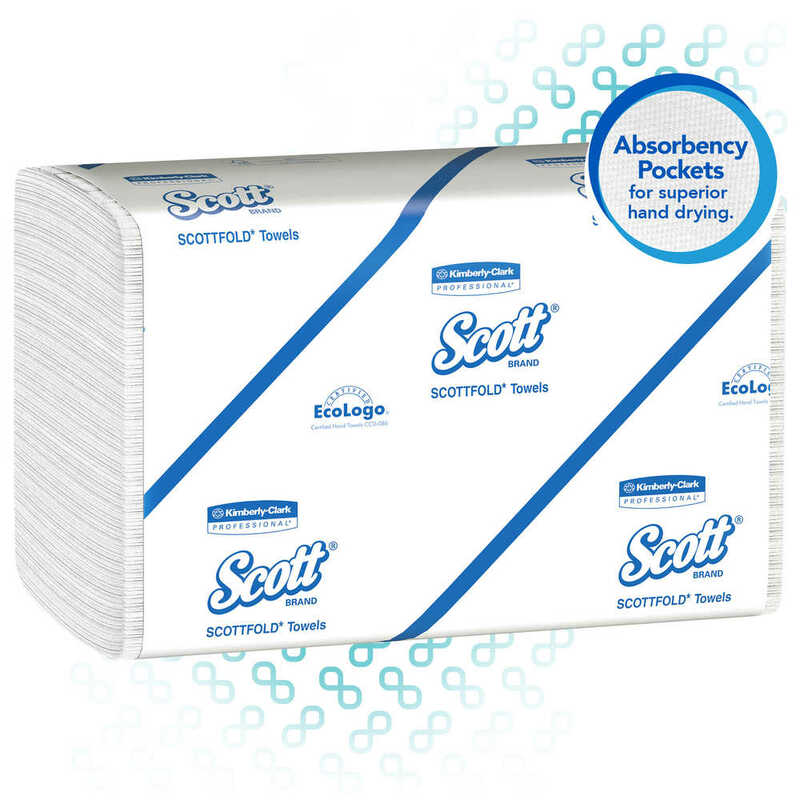 Scott Pro Scottfold towels are a smart choice for your business!